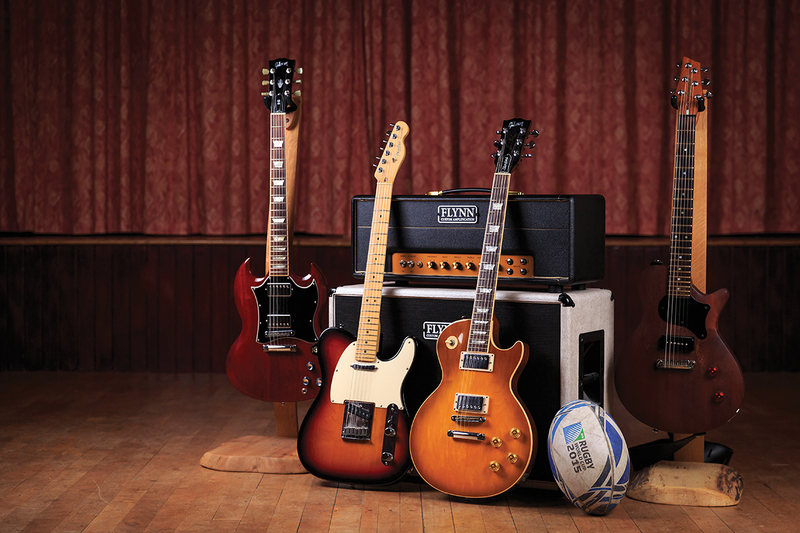 Beattie shares his passion for guitars with his brothers. Family get-togethers often end up in sibling jams supported by backing tracks polished off with three-piece harmonies. He also takes his obsession to the stage with John Beattie’s Ruckstars – a band that gigs every couple of weeks with an ever-changing line-up of seasoned musicians and TV celebrities. The hefty 1998 Les Paul Standard was duly acquired and became the latest addition to Beattie’s considered collection earlier this year. Losing himself in its tones transports him far away from the commentator’s box at Murrayfield or the BBC studios in Glasgow, where he presents his daily radio show discussing the contentious topics of the day. 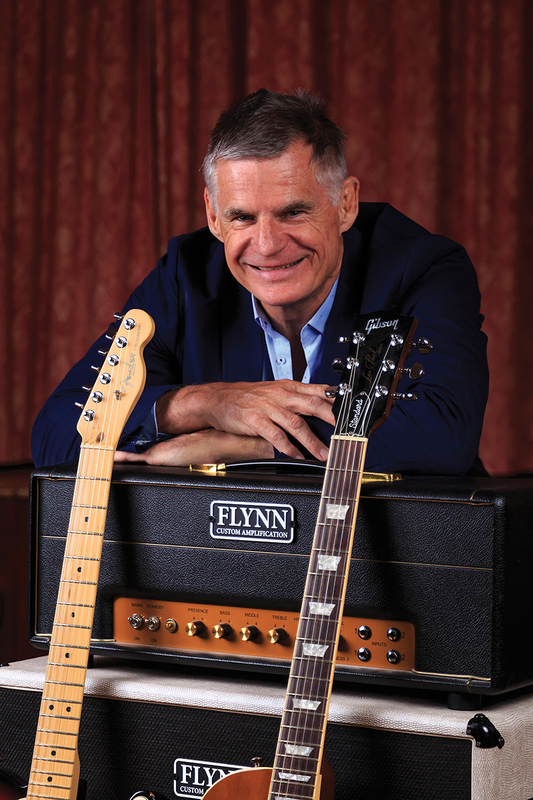 The reassuring warmth of a Les Paul is brought to life when Beattie plugs it into his Flynn Brit Plexi 45 – a JTM 45 clone that is paired with a 2×12 cabinet. 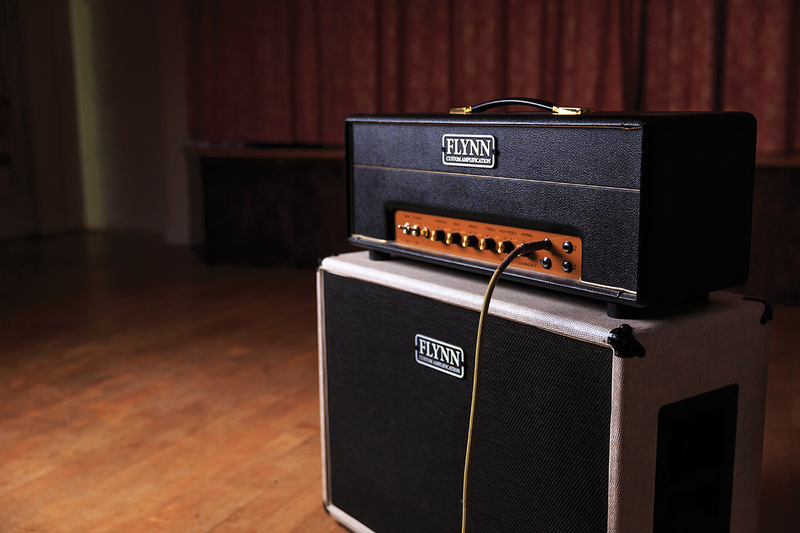 This ballsy, straight-ahead amp also hails from Glasgow and the workshop of Stevie Flynn, who has established Scotland’s biggest vintage valve amp service and repair centre. Happily enough, he also builds hand-wired boutique amplifiers that accentuate the clarity of Beattie’s Les Paul, and stresses the pick attack that is a big part of his playing. 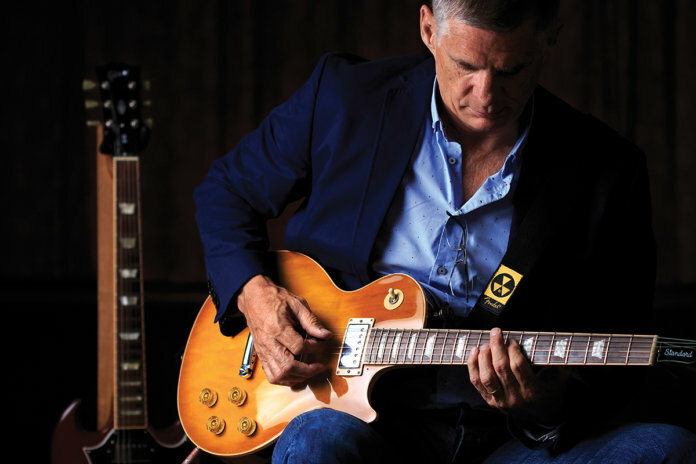 Beattie had found his sound and completed a journey that had started more than 40 years earlier with an Ibanez Les Paul copy, and ended in a throwaway tweet when he was at a loose end one evening. The initial musical stimulus to pick up that old Ibanez came in the form of The Seekers, Status Quo and The Who. 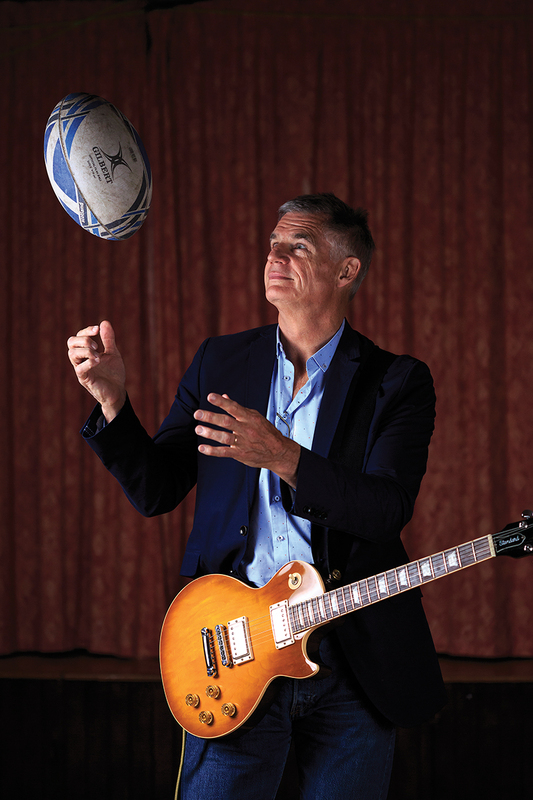 And while rugby, civil engineering and chartered accountancy offered career progression in various areas – rugby union was still an amateur sport until 1995 – Beattie was always playing his guitar, with one man influencing him more than any other. Young was also pivotal in forming Beattie’s set-up and, in particular, his approach to pedals. “I don’t use any effects,” he affirms. “I used to, but I don’t any more. There’s something about the guitar straight into the amp that I am very happy with. 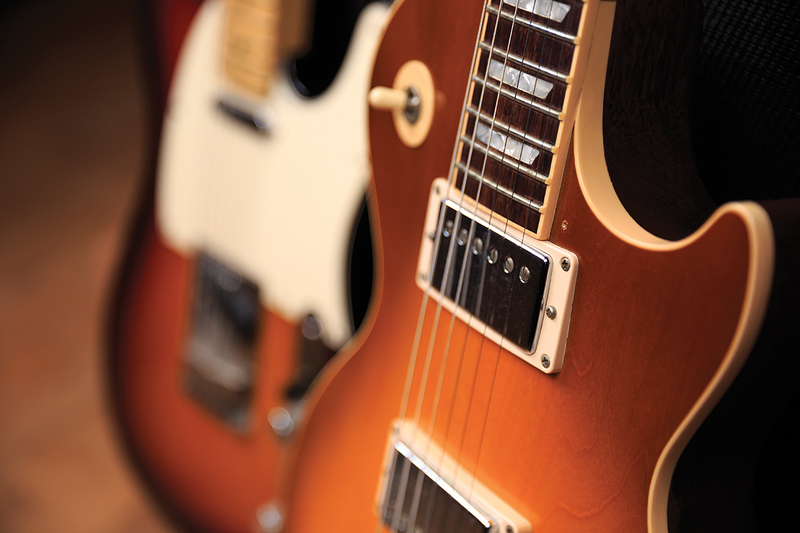 While the Les Paul has become John’s go-to instrument in recent months, the rest of his carefully considered guitar collection has plenty to offer as well. As an Angus Young disciple, it’s no surprise that the first guitar he pulls out is a Gibson SG, but it’s one with a bit of a story behind it. “That goes back to when I shared a flat with two ex-marines in Edinburgh when I played rugby for Scotland and would secretly learn every AC/DC song I could,” Beattie recalls. 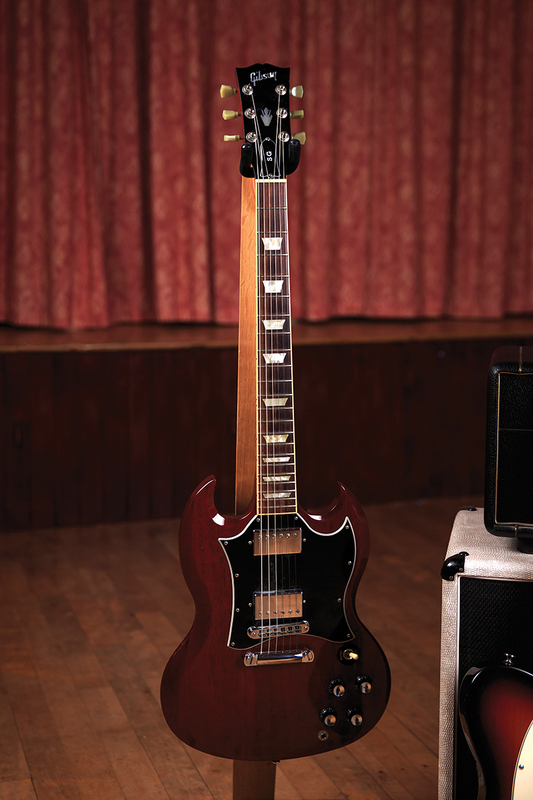 “I wanted an SG because I wanted that sound. Of all the gigs I’ve done, I’ve used the SG the most. I’ve had it the longest and it can sound beautiful. It occupies that space above the bass and below the voice. “The only disconcerting thing is it can feel light. I know that Angus Young is so tiny, the SG looks big on him, but with me – I’m six foot four and 15 stone – the SG feels little. But that’s probably me, rather than the guitar!” While the SG was his weapon of choice for many years, everyone needs a bit of variety in their collection, and for John, his Telecaster provides the non-Gibson sounds. 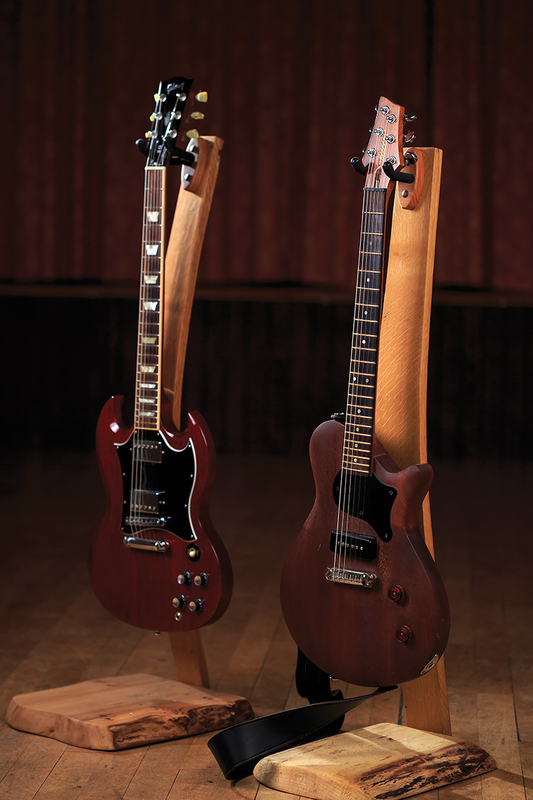 The most unique guitar in his collection is another workhorse – a single-cut WWR Custom Guitars one-off made for John by Motherwell luthier, Wilson Reid. “I’d played a couple of his guitars and liked them,” John recalls. “So I explained I wanted a guitar made of a big slab of mahogany, a fat neck, one P-90 and a wraparound bridge to keep it as simple as possible. 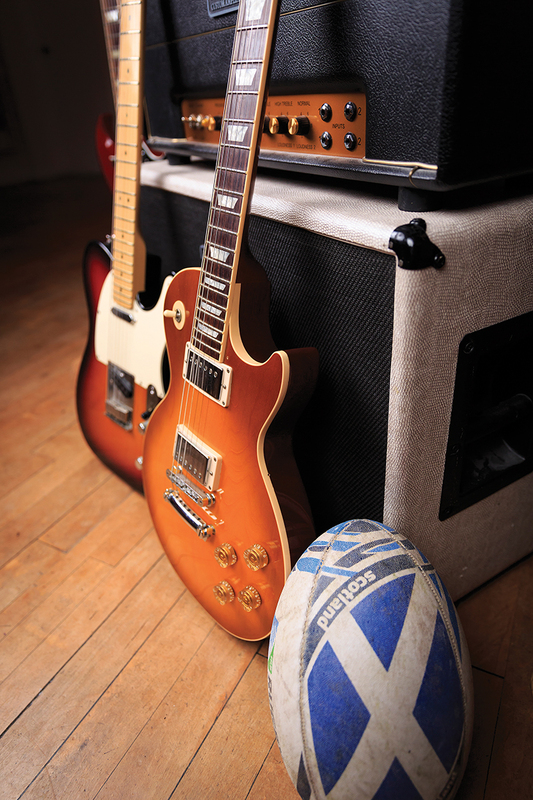 Not many people play with just one pickup and I thought; ‘I’d like to do that – I like to be different’. Clearly, Beattie is a no-nonsense rock ’n’ roller, and while his reputation for strength and toughness on the pitch might tie in nicely with this musical persona, in reality the North Borneo-born Scotsman is a team player who likes nothing more than getting up on stage and making an audience dance. 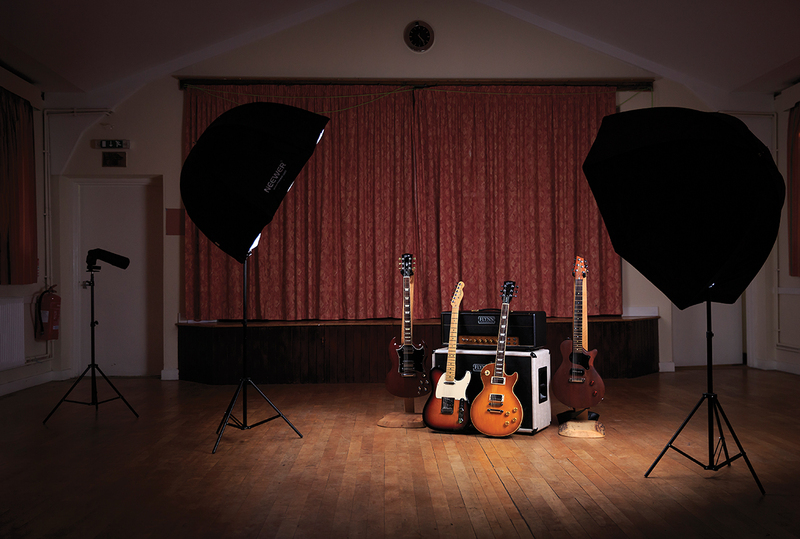 Thanks to All Things Wood for supplying us with the guitar stands used in this feature.